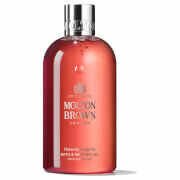 Molton Brown's Coastal Cypress & Sea Fennel Bath and Shower Gel is a luxurious body wash to leave your skin feeling fresh, preened and pampered. The uniquely scented formula takes inspiration from lapping waves and oceanic aromas, combining accords of Australian Sea Fennel with Salted Cypress. 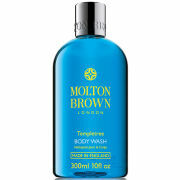 Nourishing and moisturising, the shower gel will effectively cleanse away dirt and impurities while refreshing and invigorating from top to toe. 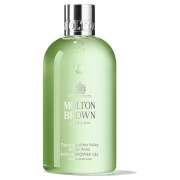 Skin is left feel revitalised and delicately scented. Lather onto wet skin and rinse.